Lead generation is a competitive industry, and those who survive and grow are able to do so because they stay hungry. The need for more traffic, better conversions and improved engagement never ceases. These three channels will define conversions and user engagement in the coming year, so get a head start in testing your campaigns if you want to scale successfully. Smartphone adoption rates rise year over year, and both Android and iPhone are popular offerings with a wide range of users. Smartphone users are also more motivated to solve queries immediately, which means they are highly engaged and highly motivated. Bigger screens also mean that there is greater room for content and ads, and that advertisers have more space to work with. Video is already a major player, with just under half of all content consumed online consisting of ads. That’s a lot of video content, and websites like Twitch and YouTube are making sure content production isn’t slowing either. Mobile video is expected to be particularly engaging, mostly because videos there are short and the user is typically already invested in their phone and unlikely to look away. The long form ad is making a comeback in the form of blog posts and informative articles. Native advertising is expected to continue seeing success with millennials, who shy away from sales pitches and obvious calls to action. The success of native advertising will depend on the proper audience seeing it, so granular targeting is the best approach. Bio: Ted Dhanik has helped build some of the biggest brands on the Web, including LowerMyBills.com and MySpace.com. Ted Dhanik is passionate about digital advertising, and a thought leader in the space. Ted Dhanik is also the co-founder and CEO of engage:BDR in Los Angeles. Successful campaigns don’t stop growing. There are always more keywords to bid on, more interests and demographics to target, and more related offers you can make. One of the qualities that separate an advanced marketer from a newbie is the ability to scale campaigns and branch out into other effective offers. If you want to scale your campaign, use these tips for ideas on how to get started. You will never grow a campaign if you do not look for opportunities to do so. By testing your campaigns frequently, you challenge yourself to explore new methods of advertising to your target market. A good test to start with is day parting. Especially considering the potential bump in profit margins and conversion rates if you’re right about the dates and times you choose. Never replace your most successful campaign with a test. Always have a campaign that ranks number one for you, something that performs consistently well. Once you have a well-oiled machine, switch one element and test it with some traffic in a new ad group. Be sure to raise your bids too. This way, you’re more likely to receive a bump in traffic to get you started and acquire some meaningful data. When you test, always test with a purpose. It helps to have a theory about your campaign going into a test. You can only develop meaningful tests if you study what users are doing when they visit your ads and landing pages. Bio: Ted Dhanik is a digital advertising expert with experience growing brands like MySpace.com. Ted Dhanik is the co-founder of engage:BDR. For more information on mobile and desktop advertising, contact Ted Dhanik. Buy-side platforms are able to provide targeting on a granular level, so it’s crucial to understand your audience. Here are tips to help you research and micro-target members of the audience you need to reach. Think about intent. Why is your target searching for your placement at the specific time you’ve chosen to run it? What problem does your ad solve? What are some of their biggest complaints? If this sounds like guesswork, it’s because it is. It’s not hard to begin with guesses and end with something actionable in a relatively small amount of time. Start by thinking of your audience in categories, like age or level of education. List every potential category you can think of, and narrow your audience down to the ideal buyer for your product. Hold interviews to confirm your suspicions. Seriously. Find some members of your audience in public spaces like Facebook and ask them (nicely) some open-ended questions related to your product or service. It may be easier to find them on forums or on Twitter, but do seek them out. This is also where trends can come into play. You can learn a lot from reading trends, examining blog comments and reviewing content within your niche. Distill what you’ve learned into a list of qualities, like a profile of someone. Register to use a buy-side platform and then test your theories by matching your list with the appropriate targets. Be prepared to make adjustments, and do test your theories frequently. With real-time bidding comes real-time data, so you will immediately know what works best. Bio: Ted Dhanik is the co-founder of the mobile and desktop advertising buy-side platform First-Impression, which is powered by engage:BDR. Ted Dhanik has used display advertising to launch high-profile brands like MySpace and LowerMyBills. Find out how to use mobile advertising to generate business leads with tips from Ted Dhanik. 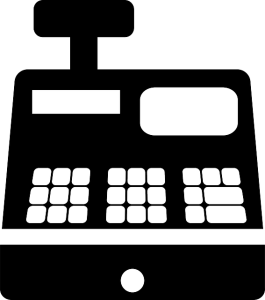 Retail businesses depend on their cash registers to help them complete their transactions. If a malfunction happens to a cash register, this has the potential to significantly damage a business’s ability to operate. Breakdowns of a cash register means longer customer wait times to make purchases, which can lead to customer dissatisfaction and even lost sales. You can check cash register manuals for information on the construction of the machine before making a purchase. This will give you a strong sense of the build quality of the register. Cash registers that are ideal for heavy use often use thermal paper in order to create receipts faster. They are also frequently made from stronger materials. For example, a heavy duty cash register might have a stainless steel door. Since this is one of the areas that will most often break down on a register because of heavy use, thick and durable materials can help to reduce wear and tear. Another feature that you might find with dependable heavy use cash registers are spring-loaded bill clips. This will help to keep your bills secure over time. Retargeting is fast becoming one of the most effective tools that growing brands have to get solid exposure around the Web. Brands can already track users by interest, but they pay less for clicks that are retargeted. This tool has enabled brands to test new messaging to entice a host of buyers from segments that have expressed interest in a product. Retargeting begins with a list that you build. You can only retarget people who have already seen your ads or websites, so you need to create some data with your banner advertising campaigns. Hone your regular campaigns so that you are drawing only the most relevant traffic to your sites, and then build your retargeting list from those users. Consumers who are retargeted have already expressed some form of interest in your product. The secrets to a successful retargeting campaign are not difficult to master. First is frequency. Frequency is a number that represents how often users should see your ads. Consumers don’t mind seeing repeat ads, but they probably should not see more than three of yours per day. Next is messaging. Your job is to figure out what didn’t work the first time around, or what makes some consumers say no while others say yes. It might be price, so you can correct that by offering free shipping or an exclusive discount, or it could be comparison shopping. You might try highlighting verified reviews, if you host them, or price matching if you can. Keep your retargeting relevant to your users, and make sure you test new messaging if you want to increase your conversions. Bio: Ted Dhanik is the CEO of engage:BDR, a premium digital advertising company. Ted Dhanik helps businesses generate leads and grow their online presence through tactics like remarketing. Visit engage:BDR to get more tips from Ted Dhanik. Retargeting is commonly thought of as a method to re-target customers that have already seen our ads. This is a correct way of looking at things, but it fails to take into account how your retargeting can reach new segments of an audience. The better your efforts targeting segments that want to see your ads, the better developed your retargeting lists will become. This effectively cuts the costs on every new conversion your display advertising campaigns pick up as a result of retargeting. Begin with the adjustments you can make to your live campaigns. Adjust for everything from gender to income level. Try hyper localization too, even opening multiple campaigns to test response rates in different parts of the country. Day parting won’t help you here, but you can still target by keyword and interest. Once you’ve developed a few campaigns with very specific targeting settings, focus on bidding high enough to maintain a strong ad rank. Fine tune to increase conversions as you go, because your retargeting list will continue to accumulate customers as you work. Retargeting is like any other campaign. It’s a second chance at reaching customers, so you need to consider what worked or did not work the first time around. Try highlighting certain benefits or a particular product. This is your chance to show off the very best your company has to offer, so consider retargeting like a form of branding and make sure to put your best foot forward. Bio: Ted Dhanik is the co-founder of display advertising platform engage:BDR. Ted Dhanik has worked with MySpace.com and LowerMyBills.com selling engaging advertising to targeted consumers. Find out how to improve your conversion rates online advertising with Ted Dhanik. Social media is a powerful tool for brand research if you know what you’re looking for. You can browse Facebook, Twitter and more networks to find what your customers like and what they are saying about those products and services. Search for a few brand pages in your niche, and get set to mine them for data that will inform your banner advertising. The first step is to look for social signals related to your product. Social signals can be anything someone does on social media related to your product, like “Liking” a post on Facebook or “Pinning” a post on Pinterest. Look for posts with high stats, then search through user comments to find some info you can use. These don’t have to be posts that you make. You can use what others are discussing as a kind of gauge for interest. Also pay close attention to customer service issues. This is a big clue about the problems your market faces, and will help to inform your display advertising. You stand to gain moreby solving problems instead of selling benefits. You don’t need to take user comments word for word and place them into your ads, but they should help to color your messaging. If you see, for instance, that customers complain online about shipping or return concerns, you can easily solve those problems with “Free Shipping” or “No Hassle Returns” in your copy. You should also place this copy on the landing page, so clients can quickly find it and identify with it. Bio: Ted Dhanik is the CEO of engage:BDR, a digital marketing company based out of Los Angeles. Ted Dhanik is the co-founder of engage:BDR, and he helps businesses generate leads through display advertising. To find out how direct marketing can grow your business, contact Ted Dhanik. New advancements in display advertising have made it a powerful tool for inbound marketing. Buy-side platforms now offer marketers a self-service station, where they can find segments of consumers highly motivated to see the ads they want to show. Marketing is still somewhat of a numbers game, but there is a greater degree of precision available. That makes it easier to optimize your campaigns, especially if you understand the results you’re getting for your efforts. The top half of your landing page, commonly referred to as “above the fold,” is where you want to pack in most of your content. Headlines should be visible immediately, and it helps to put your keywords into your headline. If you can, try to fit any forms you may have on the page. It also helps to include the call to action, which is typically a part of the form or the button that leads to the form. Lastly, and perhaps most importantly, make sure that your landing page loads quickly so that users can see your ad before they click away. In banner advertising, a shorter form is usually best. You want customers to give you only the information that is most critical to your campaign, and it’s a good idea to reduce the steps it takes them to give you this information. Optimize your form and use goal funnels to see where users drop out during the process. Once you have optimized your landing page, you can test new keywords and targeting settings on your campaigns. Bio: Ted Dhanik is an Internet marketing expert from Los Angeles. Ted Dhanik specializes in lead generation through display advertising, and is the co-founder of engage:BDR. For more information about Ted Dhanik, visit his blog or engage:BDR.